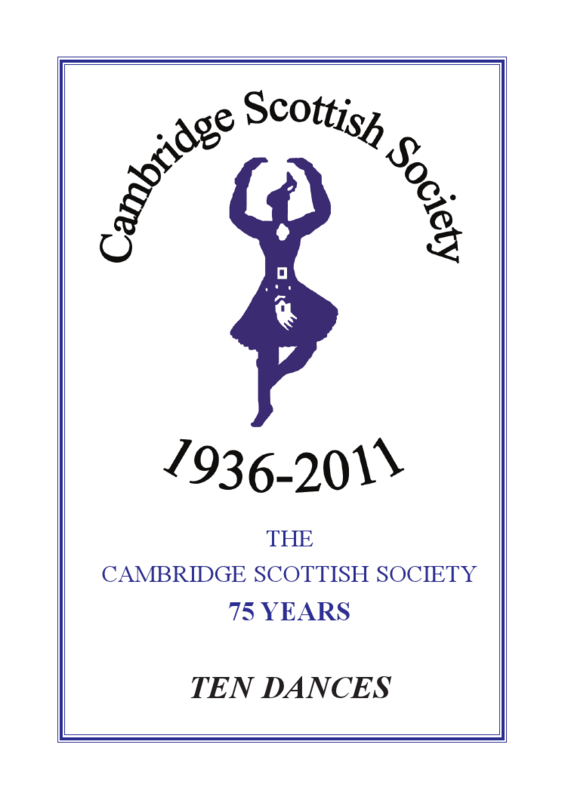 To celebrate Cambridge Scottish Society's 75th Anniversary we have put together a new book of dances written by members and friends. This is now available at �2.00 to members and �2.50 to non-members from Kathryn Coles, 15 Orchard Way, Oakington, Cambridge, CB24 3BQ, tel: 01223 233191. Reprints of our Jubilee Book are also available at the same price, or �4.00 for the pair to non-members. Please make cheques payable to Cambridge Scottish Society.